03/09/15 -- Soycomplex: Beans closed lower despite the USDA announcing 773,400 MT of US beans sold to unknown for 2015/16 delivery along with 110,000 MT of US beans sold to China, also for 2015/16 shipment. Weekly export sales came in as net reductions of 60,500 MT for 2014/15 and new crop sales that topped 1.5 MMT, primarily for unknown destinations (947,700 MT) and China (489,600 MT). They're some pretty impressive numbers. A market that still goes down with supportive information like this tells you something - that the bears have full control of this market. With the 2015 US harvest impending there could be more pressure to come, especially if early yield reports are positive. Allendale yesterday pegged these at 45.4 bu/acre with production at 3.971 bu acre. That would be the second largest yield on record beaten only by last year. Informa topped that today with a yield estimate of 47 bu/acre, slightly higher than the USDA's current 46.9 bu/acre forecast. Sep 15 Soybeans closed at $8.79 3/4, down 4 cents; Nov 15 Soybeans closed at $8.69 1/2, down 4 1/2 cents; Sep 15 Soybean Meal closed at $316.50, down $1.60; Sep 15 Soybean Oil closed at $26.76, unchanged. Corn: The corn market closed around 5-6 cents lower. Weekly export sales came in at 112,700 MT on old crop, but only a poor 328,300 MT on the new crop. Trade estimates had been for combined sales of 500,000 MT to over 1 MMT, so these were a disappointment. In a bear market like this one that proved to be difficult to swallow. Allendale yesterday estimated US corn yields at 167.1 bu/acre, with production this year at 13.548 billion bushels. That would be the second largest yield on record. As with beans, Informa topped that today with a figure of 168.8 bu/acre, up from a previous estimate of 165.4 bu/acre. They now see total production of 13.688 billion bushels. Both those numbers are now consistent with the USDA's August estimates. Russia said that it had currently harvested 3.8% of it's 2015 corn crop and that yields are currently averaging 4.87 MT/ha, down from 5.48 MT/ha a year ago at this time. The USDA has them down to average 5.0 MT/ha this year. In Brazil, farmers in Mato Grosso state are reporting record large safrinha corn yields. Local analysts IMEA are now predicting a safrinha corn crop for the state of 21 MMT, up 6 MMT from their initial estimate. Brazilian corn prices are up sharply, unlike those in the US, thanks to a 30% devaluation of the Brazilian real versus the US dollar since the turn of the year. Sep 15 Corn closed at $3.47 3/4, down 6 1/4 cents; Dec 15 Corn closed at $3.61 1/2, down 6 cents. Wheat: Well, with beans and corn lower it was always going to be unlikely that the wheat market would stand out like a shining beacon, and so it proved. Weekly export sales of only 277,500 MT let the side down again. News of the prices being paid in North Africa by Algeria and Egypt in their tenders today rammed home the message that US wheat is simply far too dear. Today's export sales backed up that story. Russia staged a clean sweep in the GASC tender, despite French prices being dropped considerably from last week. French wheat futures closed at more than 5-year lows today as their silos remain full, and exports stay slack. Chicago wheat slipped to new five-year lows today, whilst in Kansas City things are at levels not seen for 8-1/2 years. Jordan seeks 100,000 MT hard wheat of optional origin for Nov-Jan shipment, along with a similar volume of barley for the same period. Stats Canada estimated Jul 31 all wheat stocks there at 7.11 MMT versus an average trade estimate of 6.5 MMT. Russia said that it's wheat harvest was 62.5% complete on 16.8 million ha producing a crop of 49.7 MMT to date. The Russian Ag Minister said that he saw no reason to alter the current export duty on wheat, saying that full season grain exports would total 25-30 MMT. Sep 15 CBOT Wheat closed at $4.56 1/2, down 16 1/2 cents; Sep 15 KCBT Wheat closed at $4.41 1/2, down 6 1/2 cents; Sep 15 MGEX Wheat closed at $4.84 3/4, down 4 3/4 cents. 03/09/15 -- EU grains closed mixed, but mostly lower, although rapeseed prices managed to buck the trend. At the close Nov 15 London wheat was GBP1.50/tonne lower at GBP110.50/tonne, Sep 15 Paris wheat was EUR6.25/tonne easier at EUR146.75/tonne, Nov 15 Paris corn was down EUR1.00/tonne to EUR162.25/tonne, whilst Nov 15 Paris rapeseed was EUR1.75/tonne firmer at EUR359.25/tonne. Friendless and soon to expire Sep 15 Paris wheat fell to levels last seen on a front month more than 5 years ago. The gap between it and the benchmark Dec 15 contract is now almost EUR20/tonne. Based on tonight's close, converted into sterling, it's only worth the equivalent of around GBP107/tonne! With silos in Rouen and Dunkirk reportedly choc-full of wheat, the further intake of which is suspended, French sellers are clamouring to make some room after their recent record harvest. That explains why Soufflet offered Egypt's GASC French wheat at $174.74/tonne FOB in their latest tender today - a price that was around $2.50/tonne cheaper than last Friday's winning Ukraine bid, and also $11/tonne below the price that the French grain giant offered their wheat at at the time. Even that wasn't low enough to win the business though, with Russian sellers securing the order, albeit courtesy of cheaper freight rates, selling GASC three cargoes of wheat at around $188/tonne including shipping - around $2/tonne less than the price paid on Friday. Russia's Minister of Agriculture was quoted as say that he saw no reason to adjust the way that the current export duty on wheat is calculated. Based on today's winning Russian bids in the GASC tender (priced at the equivalent of around RUB12,000/tonne) there would be a duty payable of RUB450/tonne (circa $6.50/tonne) on these sales if the rouble value holds it's current level versus the USD. The shipping period is Oct 11-20 though, so this is far from certain especially with the rocky ride that we've seen in crude oil values of late. The risk on that one remains with the sellers. Meanwhile, the 2015 Russian harvest is said to be 58.9% complete on 27.7 million ha producing a crop of 73 MMT to date. The Ag Ministry are forecasting a final grain crop of 100-103 MMT versus 105.3 MMT a year ao. Wheat accounts for 49.7 MMT of what has been harvested so far off 62.5% of the planned area. Wheat yields are said to be averaging 2.96 MT/ha versus 3.25 MT/ha a year ago. The Kazakh havest is said to be 16.8% complete on 2.5 million ha producing a crop of 3 MMT to date. They expect a final harvest of "not less than 17.2 MMT" which is the figure achieved a year ago. Algeria were reported to have bought around 400,000 MT of optional origin wheat in their latest tender. It would seem highly likely that at least some of this will prove to be of French origin, as Algeria is a destination that offers France a freight advantage over Black Sea material. 02/09/15 -- Soycomplex: Beans closed with little change. FCStone estimated US 2015 soybean yields at 45.4 bu/acre, up from 45.0 bu/acre previously. Despite the rise there was a small 6 million bushel reduction to their production estimate taking that down to 3.791 billion bushels. The USDA were at 3.916 billion in August and production last year was 3.969 billion. Informa are due out with their latest 2015 US production estimates this week. They had production at 3.789 billion and yields at 45.4 bu/acre a month ago. The next USDA numbers are due next Friday. Further negative economic data out of China overnight leans bearish. Tomorrow's weekly export sales report will be important, to perhaps re-assure the market that they are still buying beans actively. Prices are after all at multi-year lows. Trade estimates for soybean sales are around 550,000 MT to 1.15 MMT, with meal sales around 50,000 MT to 200,000 MT. South Korea's MFG bought 60,000 MT of US or South American soymeal for Feb shipment. Sep 15 Soybeans closed at $8.83 3/4, down 1 cent; Nov 15 Soybeans closed at $8.74, unchanged; Sep 15 Soybean Meal closed at $318.10, up $0.20; Sep 15 Soybean Oil closed at 26.76, down 46 points. Corn: The market closed around 1-2 cents easier. FCStone increased their US corn yield estimate from 165.0 bu/acre to 165.9 bu/acre. They now see production at 13.457 billion bushels versus 13.381 billion previously. The USDA were at 13.69 billion last month and output a year ago was 14.216 billion. Informa are expected out either tomorrow or Friday, they had production at 13.412 billion bushels with yields estimated at 165.4 bu/acre last time. The latest weekly report from the US Energy Dept showed that ethanol production was down 4,000 barrels per day to 948,000 bpd during the week ending August 28. China is now on holiday for the rest of the week, so hopefully there won't be any further bearish news from them for the next few days. 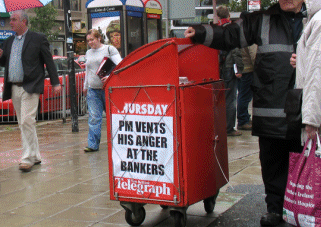 That said, it's not unusual for them to alter interest rates etc over a weekend. The Chinese market will re-open on Monday, but the US markets are then shut for Labor Day. Trade estimates for tomorrow's weekly export sales report are around 500,000 MT to 1.05 MMT for corn. South Korea's MFG were reported to have bought 204,000 MT of optional origin corn for Feb shipment. The country is also said to be in the market for more of the same. Very early corn yields in Ukraine are reported to be down versus a year ago and well below the 6.59 MT/ha national average that the USDA is predicting this year. Sep 15 Corn closed at $3.54, down 2 cents; Dec 15 Corn closed at $3.67 1/2, down 1 1/2 cents. Wheat: The market closed with some fairly steep losses, especially on the nears. Chicago wheat closed at the lowest levels on a front month since early May, and not far away from being at the lowest in more than 5 years. The trade will be nervous that tomorrow's weekly export sales might disappoint, as they have done frequently of late, although last week the opposite was true. Trade estimates for this week's sales are in a fairly modest range of 250,000 MT to 520,000 MT. Anything less than that would be a kick in the teeth. 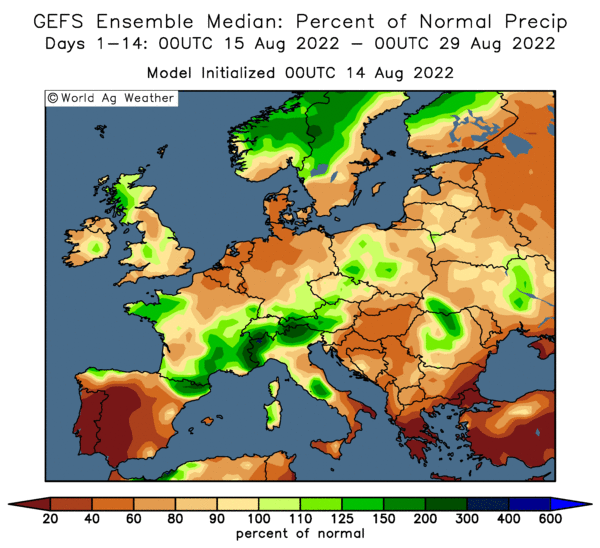 Even Europe is now struggling to find export homes for it's larger than anticipated wheat harvest, French sales have dried up, and Paris wheat closed at the lowest for a front month since September 2014 tonight. The Paris Dec 15 contract also set lifetime contract lows. Egypt issued another tender for wheat, it's third within the last 8 days. On each of the previous two occasions though it has only bought one cargo each time, one from Russia last Thursday and one from Ukraine last Friday. 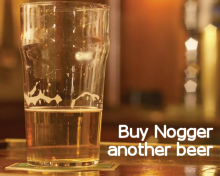 With sellers seemingly falling over themselves to grab a share of the business, it looks like GASC are simply testing the water again, to see how low the offers will come in this time round. So despite prices being at the lowest levels in years, little more than $190/tonne including freight last week, I don't expect them to be in for volume tomorrow. Neither is US wheat likely to figure. South Korea are said to be in the market for 50,000 MT of Australian wheat for Feb shipment. Stats Canada are due out with their Jul 31 stocks report tomorrow. Sep 15 CBOT Wheat closed at $4.73, down 11 cents; Sep 15 KCBT Wheat closed at $4.48, down 10 1/2 cents; Sep 15 MGEX Wheat closed at $4.89 1/2, down 2 1/2 cents. 02/09/15 -- EU grains closed mostly lower, with Nov 15 London wheat ending at the lowest for a front month since late June and setting a new lifetime contract low. Sep 15 Paris wheat closed at the lowest for a front month since September 2014, and also set a new lifetime contract low. It was a case of another day, another piece of bearish news out of China. Today's news was that China’s manufacturing sector contracted at the fastest rate in three years in August. At the close, Nov 15 London wheat was down GBP1.95/tonne to GBP112.00/tonne. In Paris Sep 15 wheat fell EUR4.25/tonne to EUR153.00/tonne, Nov 15 corn lost EUR3.00/tonne to EUR163.25/tonne and Nov 15 rapeseed was down EUR4.00/tonne to EUR357.50/tonne. The gap between Sep 15 Paris wheat and the benchmark Dec 15 contract has now widened to a cavernous EUR16/tonne ahead of the expiry of the Sep 15 contract, which goes off the board a week tomorrow. Dec 15 will then become the new front month, and that hit a new contract low of it's own today too, even if it is at a large premium to the Sep 15 contract. A record French wheat harvest this year, lack of storage space at the ports, along with relatively slack export demand in the face of stiff Black Sea competition are among the factors that have been keeping the nearby contract under particular pressure. Ukraine remain their usual active selves on the export front. APK Inform said that they'd exported 6.2 MMT of grains in the first two months of the 2015/16 marketing year, a 24% increase compared to the same period in 2014/15, and they were no slouches then. The ever-present Ukraine farmer eagerness to turn his crop into cash as quickly as possible, and the weak domestic currency, mean that they will price any buying interest aggressively. The Ukraine Ag Ministry estimate grain production this year at 60 MMT, a more than respectable total given all the talk earlier in the season of sharply lower output due to heavily reduced inputs due to rising import costs - not to mention the ongoing internal fighting going on in some parts of the agricultural belt. The Ministry also forecast total grain exports at a record 36.4 MMT this season, and say that the country aims to increase grain production to around 80 MMT over the next five years. They have the land and capability to do that by adopting more Westernised farming methods, but whether their infrastructure can handle it is another matter. That will require heavy investment, although for now the West, IMF et al seem happy to throw money at Ukraine with gay abandon. The World Bank granted Ukraine a $500 million loan at the end of August, and today said that they plan to extend that amount by another $500 million later this month. On harvest matters, the Ukraine Ag Ministry said that the country had completed this year's campaign on 10.36 million ha, or 71% of the sown area, producing a crop of 37.15 MMT to date. The corn harvest is only just getting going, with 8k ha cut so far producing a crop of 35 TMT to date. Yields thus far are only averaging 4.36 MT/ha. The USDA have them down to average 6.59 MT/ha this year - so that one wants monitoring. The Ag Min also said that planting of the 2016 winter rapeseed crop is 36% complete on 2987k ha. Elsewhere, Belarus said that they'd harvested 8.9 MMT of grain so far this year. Russia said that it's 2015 grain harvest was 58.9% complete on 27.7 million ha producing a crop of 73 MMT so far. Wheat is 62.5% harvested on 16.8 million ha. Production so far stands at 49.7 MMT, with yields averaging 2.96 MT/ha, a near 9% fall compared to a year ago. The Russian barley harvest is 69% complete on 6.2 million ha for a crop of 14.5 MMT to date. Yields there are down 6% at 2.36 MT/ha. As with Ukraine, the 2015 Russian corn harvest is only just beginning, with an area of 106.9k ha cut so far, which is 3.8% of the planted area. Production stands at 520.8 TMT, with yields averaging 4.87 MT/ha, an 11% fall compared with a year ago and below the USDA's forecast of 5.0 MT/ha. 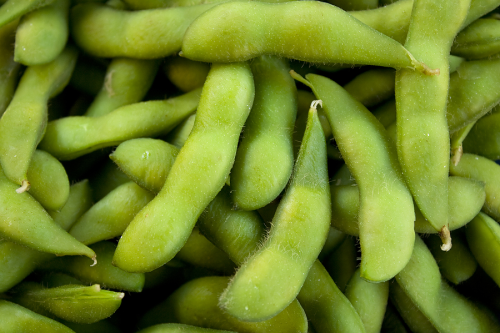 01/09/15 -- Soycomplex: Beans closed lower as more bad economic news out of China further rocked the market. A Farm Futures Magazine survey has the total US 2015 soybean area estimated at a record 86.32 million acres versus 84.3 million a year ago. Dr Cordonnier estimated the 2015 US soybean crop at 3.81 billion bushels, on yields of 46.0 bu/acre. The USDA were at 3.916 billion bushels and 46.9 bu/acre in August. Oil World estimated 2015/16 global soybean output at 315.8 MMT versus a previous estimate of 312.8 MMT. They see global soybean stocks at 89.2 MMT versus a previous estimate of 87.3 MMT, and up 2.3% from a year previously. Brazil reported Aug soybean exports at 5.16 MMT, down from 8.44 MMT in July, but up versus the 4.12 MMT shipped out 12 month previously. IMEA estimated 2015/16 Mato Grosso soybean plantings at 9.2 million ha, up 2% from a year ago. Agritrend forecast Argentine soybean plantings in 2015/16 at a record 20.8 million ha. The Argentine government said that growers there at 63.4% sold on their 2014/15 soybean crop versus 55.5% a year ago. South Korea's MFG are tendering for 120,000 MT of US, South American and/or Chinese soymeal for Feb-March shipment. Sep 15 Soybeans closed at $8.84 3/4, down 12 3/4 cents; Nov 15 Soybeans closed at $8.74, down 13 1/2 cents; Sep 15 Soybean Meal closed at $317.90, down $3.00; Sep 15 Soybean Oil closed at 27.22, down 70 points. Corn: The corn market closed around 6-7 cents lower. Crude oil was sharply lower, reversing yesterday's gains and adding to the negative tone. Various media reports suggested that around 200 individuals in China may have been arrested, accused of "speaking negatively about the markets". The Chinese, US and EU stock markets were all significantly lower today. Dr Cordonnier estimated the 2015 US corn crop at 13.33 billion bushels, on yields of 165 bu/acre, both figures unchanged from his previous estimates. The USDA's August estimates were for production of 13.686 billion bushels, with yields at 168.8 bu/acre. A Farm Futures survey had 2015 US corn acres estimated at 89.65 million versus 88.9 million a year ago. Argentine growers are said to be 65.7% sold on their 2014/15 corn crop versus 63.7% this time a year ago. The USDA reported that processors used 448 million bushels of corn in July for the production of ethanol. That's up from 441 million in June. Agritend said that Argentine growers will cut corn for grain plantings for 2015/16 by 15% to 2.8 million ha, the smallest area in 25 years. Another Argentine analyst. SRA, sees them even lower - down 22% year-on-year. Ukraine have started their 2015 corn harvest, and very early yields are reported to be averaging only 4.2 MT/ha. The USDA have average yields there this year at 6.59 MT/ha. Russia's 2015 corn harvest is also underway and said to be averaging 4.78 MT/ha, down 12% on a year ago and below the USDA's forecast of 5.0 MT/ha. Sep 15 Corn closed at $3.56, down 7 3/4 cents; Dec 15 Corn closed at $3.69, down 6 1/4 cents. Wheat: The wheat market closed mixed, up a little in Chicago and down a bit in Kansas and Minneapolis. US Wheat Associates said that this year's US soft red winter wheat production was a five-year low of 388.9 million bushels, and that the quality of the crop was poor. Low bushel weights and hagberg levels, and record high levels of vomitoxin and damaged kernels were reported. Agritrend said that Argentine wheat plantings for 2015/16 could fall to the lowest level in more than 100 years at just 3.4 million ha. That's a 19% drop on a year ago, and below the Buenos Aires Grain Exchange's 3.7 million estimate and the Rosario Exchange's 3.5 million prediction. Argentine growers are said to be almost 93% sold on their 2014/15 wheat crop versus 67.5% sold this time a year ago. Japan tendered for 126,805 MT of food wheat from the US and Canada for Oct-Nov shipment in it's regular weekly tender. The results of that are due Thursday. A Farm Futures survey estimates the US all wheat area at 55.87 million acres versus 56.1 million a year ago. French wheat futures closed close to 11-month lows today as they desperately search the market for buyers. Ukraine remains an active thorn in Europe's side. Russian exports are lower than they were a year ago, although last season was a record pace. The Russian port of Novorossiysk said that it had shipped out 986 TMT of wheat in July, down 30% from a year ago. Russia were said to be the cheapest offer in Iraq's recent hard wheat tender, not Australia as was reported yesterday. Jordan today cancelled a tender for 100,000 MMT of optional origin hard milling wheat. Sep 15 CBOT Wheat closed at $4.84, up 1 1/2 cents; Sep 15 KCBT Wheat closed at $4.58 1/2, down 5 1/4 cents; Sep 15 MGEX Wheat closed at $4.92, down 4 1/2 cents. 01/09/15 -- EU grains closed mostly lower to start the new month. More bad economic news out of China hit shares, with the stock markets in London, Paris and Germany all down around 2.5-3.0% in afternoon trade. At the finish, Nov 15 London wheat was up GBP0.30/tonne to GBP113.95/tonne, Sep 15 Paris wheat was down EUR3.00/tonne to EUR157.25/tonne, Nov 15 Paris corn was down EUR2.25/tonne to EUR166.25/tonne, whilst Nov 15 Paris rapeseed was down EUR5.50/tonne to EUR361.50/tonne. A dock workers strike at the French port of Rouen is reported to now be over, but silo operator Senalia is still closed for the intake of wheat, although it can at least now load vessels for export - if there's any interest that is. That's keeping front month Sep 15 Paris wheat under pressure, which set fresh contract lows today, and also widened the gap between it and the benchmark Dec 15 contract to almost 9%. We are also now little more than a euro away from posting the lowest front month close on Paris wheat in 11 months. The trade will be watching for the results of an Algerian tender for wheat, with material from the Baltic now competing with French origin, and Ukraine wheat also priced to sell. Kazakhstan said that their 2015 harvest was 11.8% complete on 1.33 million ha producing a crop of 2.32 MMT to date. Average yields are 1.33 MT/ha, which believe it or not are up 24% on a year ago. Ukraine seaports exported 639 TMT of grains last week, APK Inform said yesterday. That's a better performance than Russia, who's seaports only shipped out 497 TMT of grains last week. The leading Black Sea Russia port of Novorossiysk exported 1.2 MMT of grains in August customs data shows, that's 17% below last year. The volume comprised 986 TMT of wheat and 221 TMT of barley. That's 30% less wheat than was shipped out in August 2014, as the current export duty hinders sales. That's up for review later this month though. It was reported today that Russian wheat was in fact the cheapest offer in the recent Iraq tender, not Australian wheat as was suggested yesterday. Farmers in both Russia and Ukraine have begun the 2015 corn harvest, although only small areas have been cut so far. Early Russian yields are reportedly down more than 12% at 4.78 MT/ha. Ukraine's are even lower at 4.2 MT/ha, suggesting that recent heat and dryness has indeed cut production potential this year. The USDA's current yield forecasts are 5.00 MT/ha in Russia and 6.59 MT/ha in Ukraine, although it is still very early days. They've also begun the 2015 soybean harvest in Ukraine, with 77k ha cut so far. Yields there are averaging 1.84 MT/ha. In addition, Ukraine growers are said to have planted 258k ha of winter rapeseed for the 2016 harvest, around 31% of the government target. After rising solidly for 3 sessions, rapeseed was perhaps due for a correction and today was the day. The bad news out of China had crude oil back on the defensive, with NYMEX and Brent both down around $3/barrel. That hit both soybean and rapeseed prices today, with the latter giving up some of the 7.3% gains it had managed in the past week. 31/08/15 -- Soycomplex: Beans closed with small gains. Weekly export inspections of 184,285 MT were fairly decent for the time of year, given the pace that they've been running at all season. The USDA announced 125,000 MT of US soybeans sold to unknown, assumed to be China, for 2015/16 delivery. Worries about Chinese demand remain. The Shanghai Composite Index closed down 0.8% today for a 12.5% decline for the month of August. That's the third monthly fall in a row. The trade was expecting the USDA to maybe trim good to excellent soybean ratings a little in their latest crop progress report due after the close. They left things unchanged at 63% G/E, and in fact there was a one point shift from good into excellent. They said that 93% of the crop is setting pods, 2 points behind the 5-year average, and that 9% of the crop is dropping leaves, 2 points ahead of average. We are now at the end of August, long regarded as the key yield-determining month for US soybeans. So how have things been? "Soybeans got a boost from generous August rainfall west of the Mississippi Valley, though the Eastern Midwest has grown steadily drier," say Martell Crop Projections. "Farms west of the Mississippi Valley have received very ample August rainfall in Iowa, Minnesota, Nebraska and South Dakota. Higher soybean yields than last season are predicted in those states. The heavy rainfall in August is due to an active monsoon circulation. The Southwest monsoon is a climate anomaly that promotes a moist air stream from tropical Mexico up into the United States heartland. The new forecast for the upcoming week predicts more heavy rain for the western Midwest," they add. Sep 15 Soybeans closed at $8.97 1/2, up 4 1/4 cents; Nov 15 Soybeans closed at $8.87 1/2, up 2 cents; Sep 15 Soybean Meal closed at $320.90, down $0.50; Sep 15 Soybean Oil closed at 27.92, up 13 points. Corn: The corn market closed narrowly mixed. Weekly export inspections came in at just over 1 MMT, which was better than the recent average, and up 13% on last week. NYMEX crude oil closed around $4/barrel higher in a topsy turvy trading session. There's continued talk of dryness in Ukraine and southern Russia starting to hurt corn crops there, with traders paring back their production estimates for the region. The Russian Ag Ministry said that their 2015 corn harvest is 2.5% complete on 69.1k ha, and that average yields so far are more than 12% down at 4.78 MT/ha, although it's obviously very early days yet. The EU Commission said that the bloc had exported 4.0 MMT of corn to non-EU destinations in 2014/15, a 78% rise compared to the recent average. Romania was the top exporting nation, shipping out 2.6 MMT, a 140% increase. The top homes were Turkey, South Korea and Egypt. EU corn imports were also higher however. At 9.3 MMT these were up 12% on the recent average, with Ukraine accounting for 60% of the total volume. Russia said that it had exported 171 TMT of corn so far this season. APK Inform said that Ukraine exported 51.9 TMT of corn last week. After the close the USDA pared back US corn crop ratings by one point in the good to excellent category to 68%, which is 4 points behind this time last year - when yields went on to break all previous records. On that basis this year's US corn crop isn't in bad shape at all. The USDA said that 92% of the crop is at the "dough" stage, 2 points ahead of the 5-year average and 3 points more that this time last year. They have 60% of the crop "dented" which is in line with the recent average and 10 points up on this time last year. They say that 9% of the crop is mature, 2 points ahead of this time a year ago, but 6 points behind the recent average. Chinese corn futures traded limit down last night, setting new contract lows, on continued talk that the government might revise down the support price it pays for corn by 15-20% this year. Domestic Chinese corn prices are far higher than world levels. Sep 15 Corn closed at $3.63 3/4, up 1/2 cent; Dec 15 Corn closed at $3.75 1/4, up 1/4 cent. Wheat: The wheat market finished higher on all three exchanges. 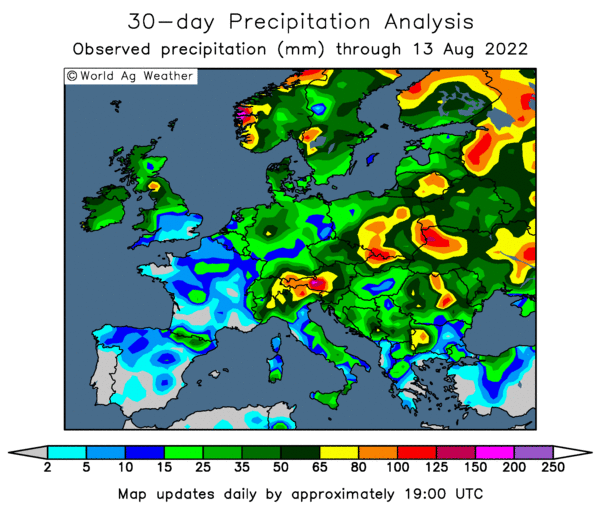 The hot and dry weather said to be harming corn crops in Ukraine and the south of Russia also means that winter wheat plants are in need of a drink. The Russian Ag Ministry said that winter wheat plantings there are 16.7% complete on 2.9 million ha. 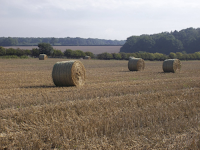 They also said that this year's wheat harvest is now past 60% complete on 16.2 million ha. Production currently stands at 48.7 MMT, with average yields down 8% at 3.01 MT/ha. The Russian barley harvest is said to be 67% complete on 6.0 million ha, with production at 14.2 MMT. Yields there are down 5.6% at 2.38 MT/ha. US hard wheat was said to be comfortably out-priced in the latest Iraq tender. Australian wheat was the cheapest at $231.70/tonne, with Russian at $234/tonne, Canadian at $247.20/tonne and US wheat at $265/tonne - some $33.30/tonne dearer than the best Australian offer. Bangladesh seeks 50,000 MT of optional origin wheat in a tender. Algeria are in the market for a similar volume of optional origin milling wheat for October delivery. Bulgaria said that it's 2015 wheat harvest had come in at 4.6 MMT, better than the official 4.3-4.5 MMT estimate from their Ag Ministry, although down on 4.9 MMT a year ago. The EU Commission said that the bloc had exported 33.3 MMT of soft wheat/flour/products in 2014/15, a 64% increase on the recent average and also a record volume. France was the leading exporting nation, followed by Germany, Romania and Poland. Algeria was the top buyer, followed by Egypt, Morocco, Saudi Arabia and Iran. EU barley exports jumped 80% on the recent average to 12.7 MMT, with France again the leader. China took 3 MMT of EU barley in 2014/15, a massive 1452% increase on the recent average, making it the leading home followed by Saudi Arabia on 2.6 MMT. 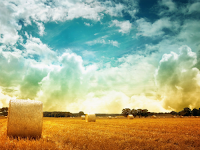 The USDA said that the 2015 US spring wheat harvest was 88% complete. This time a year ago it was only 36% done, and the 5-year average is 62% complete, so things are well advanced on normal. Weekly export inspections of 601,639 MT were a step in the right direction, but more weeks like that are needed. Sep 15 CBOT Wheat closed at $4.82 1/2, up 5 1/2 cents; Sep 15 KCBT Wheat closed at $4.63 3/4, up 6 cents; Sep 15 MGEX Wheat closed at $4.96 1/2, up 6 cents. 31/08/15 -- EU grains closed mixed, but mostly lower, although rapeseed prices extended their winning streak closing higher for a third session in a row. London markets were closed for the Bank Holiday. At the close Sep 15 Paris wheat was EUR2.50/tonne easier at EUR160.25/tonne, Nov 15 Paris corn was down EUR0.50tonne to EUR168.50/tonne, whilst Nov 15 Paris rapeseed was EUR2.50/tonne firmer at EUR367.00/tonne. For Paris wheat this was the lowest close on a front month since May 8. In contrast, for rapeseed this was the best finish in almost 2 weeks. The EU Commission said that the bloc finished 2014/15 exporting 33.3 MMT of soft wheat and it's products, a 64% rise on the average for the previous 4 seasons. France was the largest exporter, shipping out 11.7 MMT, a 5% increase on the 4-year average, followed by Germany responsible for 7.7 MMT, an 85% increase. Romania was in third spot with 4.1 MMT and Poland in fourth with 3.3 MMT. The top home was Algeria, taking 5.5 MMT, followed by Egypt on 4.3 MMT, Morocco on 2.7 MMT, then Saudi Arabia and Iran each on 2.5 MMT. For barley, EU-28 2014/15 exports jumped 80% on the recent average to 12.7 MMT. France was again the largest exporter, shipping out 4.4 MMT, with China the largest home. Their EU barley imports jumped 1452% to 3.0 MMT. Saudi Arabia was the second largest buyer of EU barley, importing a total of 2.6 MMT, up 30% on the recent average. 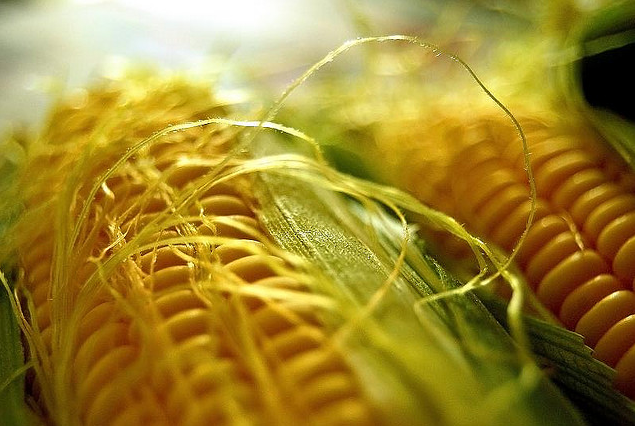 Corn exports also rose, up by 78% to 4.0 MMT, with Romania the leading seller. Their corn exports to non-EU destinations were up 140% at 2.6 MMT. Turkey was the leading home for EU corn, importing 0.7 MMT, followed by South Korea (0.6 MMT) and Egypt (0.4 MMT). EU-28 wheat imports meanwhile were down 7% at 2.9 MMT. Corn imports were up 12%, despite last season's record crop, to 9.3 MMT. The leading corn supplier was Ukraine on 5.6 MMT. Talking of whom, their 2015/16 grain export campaign continues to go from strength to strength. They exported 639 TMT of grains via their seaports last week, say APK Inform. That was up from just under 629 TMT the previous week. Last week's total included 291.5 TMT of wheat, 295.6 TMT of barley and 51.9 TMT of corn. The top home for Ukraine grain last week was Saudi Arabia taking 76.8 TMT, followed by Bangladesh (55 TMT) and Israel (54.6 TMT). The latter are tendering in the market for 50 TMT of optional origin wheat for Sep/Oct shipment. Algeria are in the market for a similar volume of optional origin milling wheat for October shipment. Australian wheat was said to be the cheapest offer in an Iraq tender for 50 TMT of hard wheat. Russia's exports, in contrast to those of Ukraine, aren't going as well. They've exported 4.5 MMT of grain so far this season, according to their Ag Ministry, a 36.9% decrease on a year ago. At 3.27 MMT, wheat accounts for the lion's share despite the current export duty. 28/08/15 -- Soycomplex: Beans closed higher on the day, but lower for the week. China's economy appears to hold the key short-term, followed by US production prospects and then South American plantings. The Chinese Shanghai Composite Index closed 4.8% higher today, after a 5.3% gain yesterday. As far as US production goes, we are due to have the latest round of private analyst releases next week, with FCStone due out Tuesday, and also Informa at some point. Last time round FCStone had the US bean crop estimated at 3.797 billion bushels, with yields at 45.0 bu/acre. Informa were at 3.789 billion and 45.4 bu/acre last time. The USDA were at 3.916 billion bushels and 46.9 bu/acre earlier this month. Their new figures are due out on Sep 11. In Brazil is now seems widely expected that 2015 soybean plantings will rise by around 3%. There is also widespread talk that this won't necessarily be translated into a 3% production increase. The weather needs to co-operate of course, but also the weak Brazilian real means that the cost of fertiliser is much higher, thus application rates could be reduced, meaning possible lower yields. The weekly commitment of traders report shows managed money cutting their net long in beans by around 19k lots for the week through to Tuesday night. They are still net long, but only to the tune of 775 contracts. Sep 15 Soybeans closed at $8.93 1/4, up 7 cents; Nov 15 Soybeans closed at $8.85 1/2, up 6 1/2 cents; Sep 15 Soybean Meal closed at $321.40, down $1.50; Sep 15 Soybean Oil closed at 27.79, up 90 points. For the week front month beans were still 12 cents easier, meal fell $5.90 whilst oil advanced 43 points. 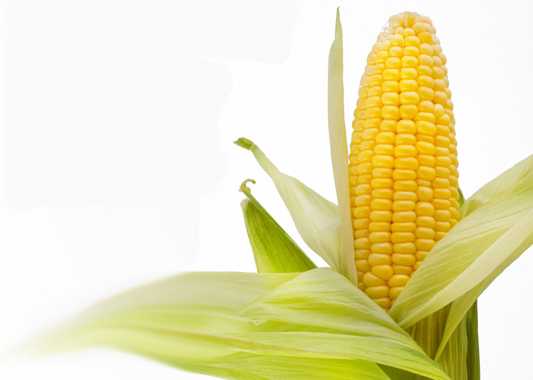 Corn: The market closed around unchanged on the day, and marginally lower for the week. The Chinese situation is seen as less of a big thing for US corn (and indeed corn in general) than it potentially is for beans. A Chinese government auction of domestic corn stocks went spectacularly badly this week, with them selling only around 40 TMT of the 5.0 MMT on offer. The trade talk of increased soybean plantings in Brazil due to higher fertiliser costs may mean a decrease in the corn area, as it is the more input-hungry crop. It could also mean reduced yield potential, although all that is still a fairly long way off. As mentioned above, we have FCStone and Informa due to enlighten us with their yield and production forecasts next week. Last time round FCStone had US corn yields at 165.0 bu/acre and production at 13.381 billion bushels. Informa lined up at 165.4 bu/acre on yields and 13.412 billion on production. The USDA's August estimates were for production of 13.686 billion bushels, with yields at 168.8 bu/acre. Planalytics Inc. were yesterday said to have estimated 2015 US corn yields at 166.8 bu/acre versus a previous estimate of 167.2 bu/acre. The EU Commission today forecast EU-28 corn production at only 58.7 MMT versus a previous estimate of 65.5 MMT. The USDA are currently at 62.25 MMT, and the new EU Commission estimate would be down nearly 22% from 75.13 MMT a year ago. 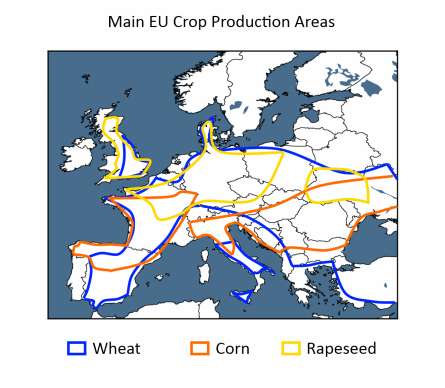 If China doesn't want Ukraine's corn this year then Europe will probably take it. FranceAgriMer raised French corn crop conditions one point to 56% good to very good today, the first increase in more than 2 months. The Buenos Aires Grain Exchange said that the Argentine corn harvest is 95.6% complete versus 93.2% a week ago and 98% a year ago. Managed money was net long around 73.5k corn lots as of Tuesday night, almost identical to a week previously. Sep 15 Corn closed at $3.63 1/4, down 1/2 cent; Dec 15 Corn closed at $3.75, unchanged. For the week that puts Sep 15 2 cents lower, with Dec 15 down 2 1/4 cents. Wheat: The market closed around 4-8 cents lower on the day and with losses in the region of 10-20 cents for the week. 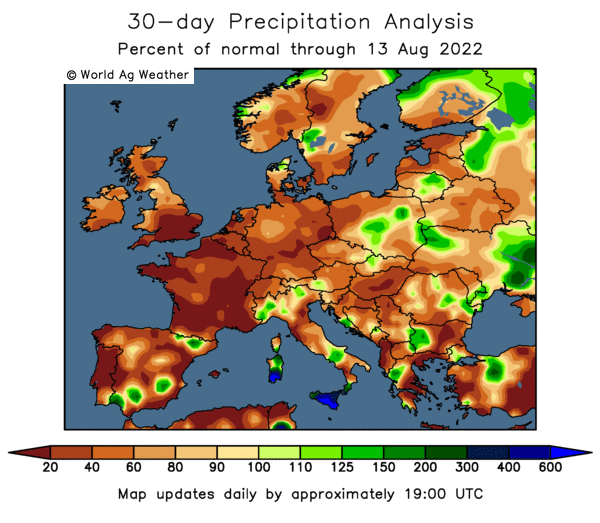 Where the EU corn crop this year appears to have been badly damaged by heat and drought, wheat seems to have "got out of jail free" with production estimates rising as yields come in better than expected, and in some cases at record levels. The EU Commission today forecasting a 2015 soft wheat crop there of 140.7 MMT versus a previous estimate of 139.4 MMT. The German Ag Ministry estimated their 2015 wheat crop at 26.4 MMT, down only relatively modestly (-5%) from a year ago. 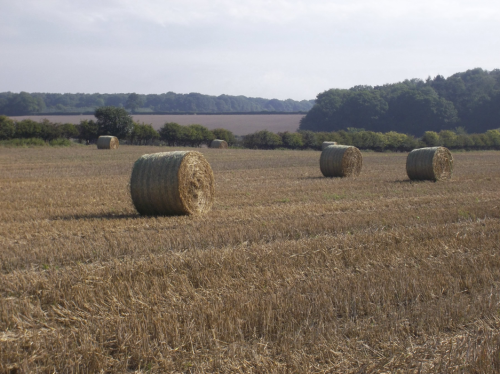 The UK harvest is ongoing, and yields are said to be well above the 10-year averages. The Russian wheat harvest as 58% complete, producing a crop of 47.7 MMT to date, according to their Ag Ministry. Egypt bought 55,000 MT of Ukraine wheat in a tender at just $177.20/tonne FOB, or little more than $190/tonne including freight, having yesterday yesterday bought 60,000 MT of Russian wheat. There were 16 cargoes offered, and 9 of them were Russian, but the Ukraine bid beat them all, even if not by much once slightly higher freight had been added on. The point is that there were no shortage of Russian offers, despite talk of exporters drawing in their horns somewhat until they get further clarification on proposed changes to the current export duty. As well as getting production figures from FCStone and Informa this week, Stats Canada are also due out on Thursday with their Jul 31 stocks estimates. For all wheat the average trade estimate 6.5 MMT versus 10.351 MMT a year ago. Sep 15 CBOT Wheat closed at $4.77, down 7 1/4 cents; Sep 15 KCBT Wheat closed at $4.57 3/4, down 6 3/4 cents; Sep 15 MGEX Wheat closed at $4.90 1/2, down 4 cents. That puts Chicago wheat 22 1/2 cents lower on the week, with Minneapolis down 11 1/2 cents and the Kansas market down 13 1/4 cents. Managed money was shown doubling their net short in CBOT wheat for the week through to Tuesday night, they are now net short 7.2k contracts. 28/08/15 -- EU grains closed mixed on the day, but mostly lower for the week - save for rapeseed which closed strongly to finish with net gains for the week. At the close, Nov 15 London wheat was down GBP1.10/tonne to GBP113.65/tonne. In Paris Sep 15 wheat fell EUR0.25/tonne to EUR162.75/tonne, Nov 15 corn also lost EUR0.25/tonne to EUR169.00/tonne and Nov 15 rapeseed was up EUR5.75/tonne to EUR364.50/tonne. For the week that puts London wheat GBP1.10/tonne lower, and in Paris wheat was EUR3.50/tonne easier, corn lost EUR5.25/tonne whilst rapeseed gained EUR7.00/tonne. In it's second tender of the week, Egypt's GASC bought one 55,000 MT cargo of Ukraine wheat for Oct 1-10 shipment. The price paid was reported at $177.20/tonne FOB, with a further $13.60/tonne on top for freight taking the C&F price to $190.80/tonne. There were a total of 16 cargoes offered: 9 Russian; 4 French; 2 Romanian and the one of Ukraine origin that was booked. On an FOB basis the cheapest Russian wheat was priced at just under $182/tonne, the best French offer was at $185.74/tonne and the best Romanian quote was $187.73/tonne. It is interesting to see 9 Russian offers despite trade talk that sellers there are reluctant to commit until the rouble stabilises and ahead of a possible government decision to alter the way the current export duty on wheat is calculated. The best Russian offer of around $182/tonne is the equivalent of around RUB11,900/tonne, meaning that at current rates it would have incurred a tax of around $7/tonne had it been successful, according to my calculations. The Russian Ag Ministry said that the country's 2015 grain harvest was now 54.6% complete on 25.65 million ha - almost the exact same area as had been harvested a year ago at this time, This year's harvest has produced a crop of 69.3 MMT so far, say the Ministry, down from 73.8 MMT this time a year ago. Average yields are 2.70 MT/ha versus 2.87 MT/ha in 2014. Wheat accounts for 47.7 MMT of the current total off 58% of the planned area, and barley adds another 13.9 MMT off 65.3% of the total area sown. The Russian corn harvest is now also just about underway at 1.3% complete and local growers have also sown 2.3 million ha of winter crops for the 2016 harvest, or 13.5% of the Ministry forecast. Faced with stiff competition from the Black Sea, and indeed the Baltic too, European exports are now starting to struggle. A bout of euro strength this week won't have helped either. Brussels released only 277 TMT worth of soft wheat export licences this week, down more than half on the previous week. Cumulative export licences for the season are now 17% below where they were a year ago. The volume of barley licences granted also fell, down 47% from the previous week to 144 TMT. The EU Commission today forecast total soft wheat exports this season at 27.87 MMT, a 16% drop compared with 2014/15's record. They also cut their EU-28 corn production forecast this year to 58.7 MMT versus a previous estimate of 65.5 MMT. FranceAgriMer raised French corn crop ratings by one point in the good to very good category - the first increase since mid-June. These now stand at 56%, which is 30 points less than this time last year. The German Farm Ministry estimated the 2015 wheat crop there at 26.4 MMT, down 5% from a year ago.